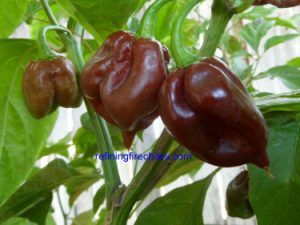 Trinidad Cherry-(Capsicum chinense)-This is not the Capsicum annuum Cherry variety from Trinidad. 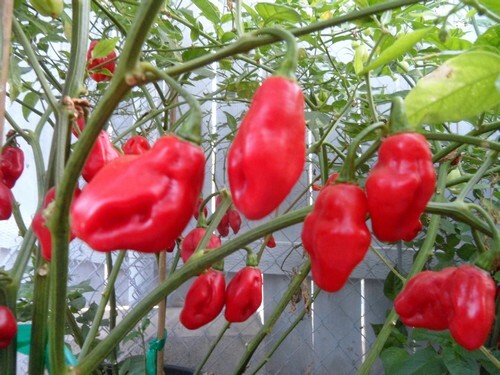 This is a habanero type that produces cherry shaped peppers that are slightly elongated and are very sweet but have a medium habanero heat level. The Trinidad Cherry peppers are about an inch in diameter. 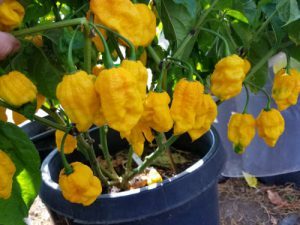 They are great for making a fresh salsa or hot sauce. 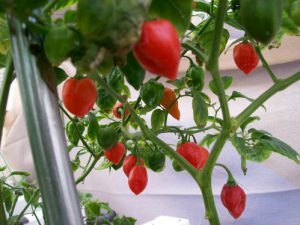 The Trinidad Cherry is very productive and produces early. 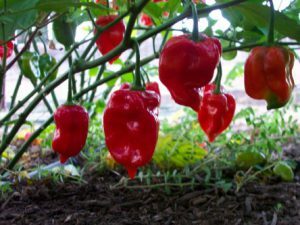 The Trinidad Cherry Chile plants grow between 3-4 feet tall.